Wilson Tool’s V-Series Black dies use rotating, replaceable inserts so material glides on the die surface rather than scraping along the shoulder radius. The rotating inserts decrease friction and enable better performance when producing small flanges, small bend radii and bends closer to holes. They also provide superior protection against part marking. Because of their flexibility, V-Series Black dies enable you to bend a wide range of materials using the same die, which can ultimately reduce set-up times and limit costs on additional tooling. Hard-to-Bend Applications – due to their rotating inserts, V-Series Black dies make it much easier to produce small flanges, small bend radii, and bends closer to holes without defects. Cosmetic Applications – the dies’ rotating inserts glide along part material, so friction and concentrated load is greatly reduced, which reduces material marking. 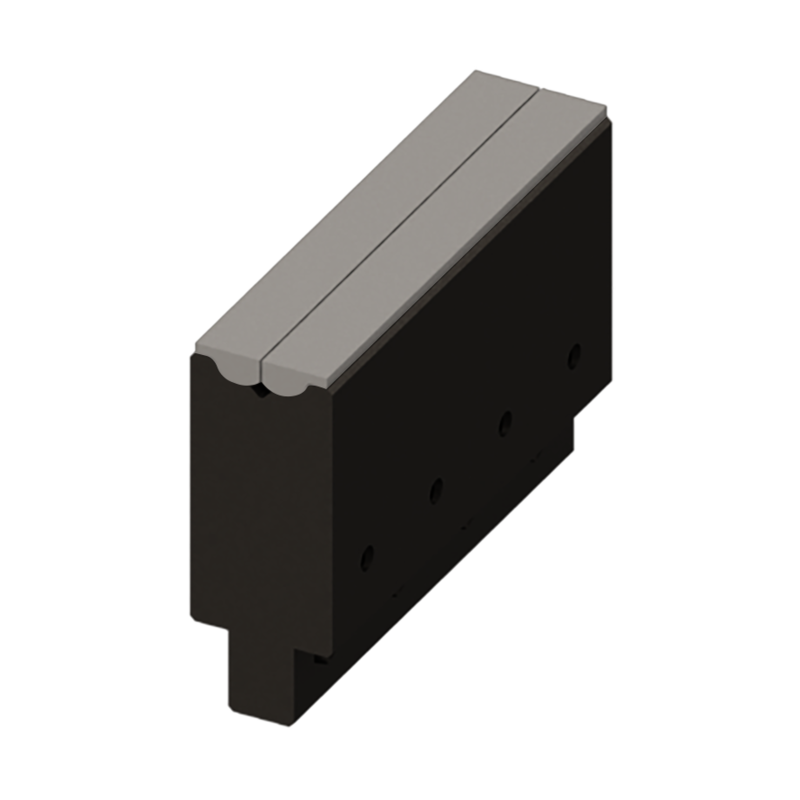 The dies are ideal for working with diamond plate, stainless and aluminum. Add Zip-Mar strips to the top of the inserts and marking on cosmetic materials such as painted or polished materials is practically eliminated. Learn about maintenance and troubleshooting with your V-Series Black dies.